Y.M.C.A. No. 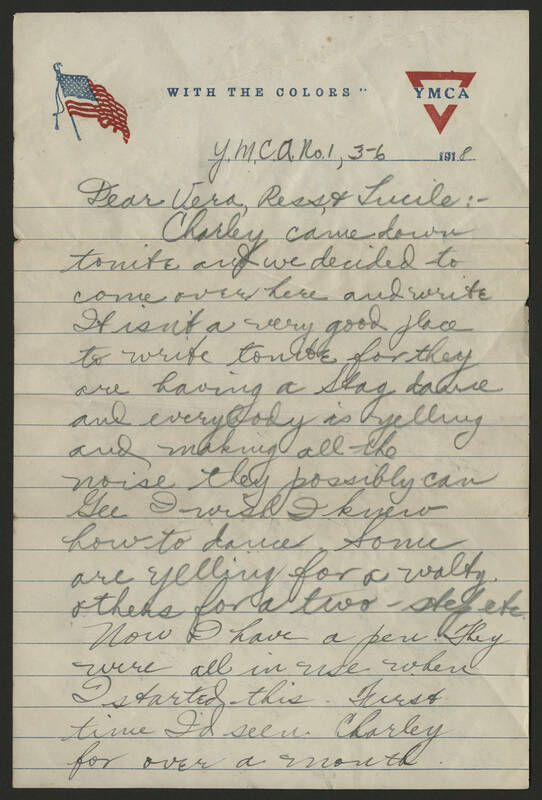 1, 3-6 1918 Dear Vera, Ress, & Lucile: Charley came down tonite and we decided to come over here and write. It isn't a very good place to write tonite for they are having a Stag dance and everybody is yelling and making all the noise they possibly can. Gee I wish I knew how to dance. Some are yelling for a waltz others for a two - step etc. Now I have a pen. They were all in use when I started this. First time I'd seen Charley for over a month.